Which Of These Early Computers Had A Critical Defect That Erased Removable Media? Which Of These Coffee Brewing Methods Was Invented To Speed Up Coffee Preparation? 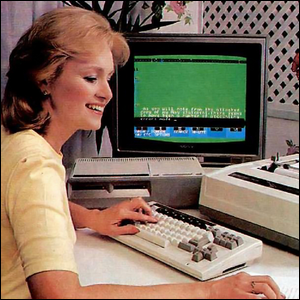 Early personal computers had more than a few issues that were fundamentally inherent with the emerging genre. The learning curve was steep, the cost of entry was high, and there simply wasn’t the variety of software that exists today. Those issues were industry-wide, however, and people simply accepted that using a tiny monochrome screen and slow loading software was part of the early PC experience. The Coleco Adam had a problem that extended well beyond the growing pains of the early industry though. The startup process of the Adam generated a surge of electromagnetic energy inside the case that was strong enough to be, essentially, a tiny electromagnetic pulse weapon. This pulse of energy was strong enough that it instantly erased any removable media in, or near, the computer’s drive. The particular issue was further compounded by the fact that the instruction manuals for the majority of the software and games available for the Adam told users to be sure that the tape was in the drive before turning the computer on. Between the cost of repairing returned units, the damage to their reputation, and the unsold inventory, the Adam debacle cost Coleco over 48 million dollars—not a small sum today and definitely not a small sum in 1984 when their brand was taking a battering. As a result of the unsuccessful foray into the PC market, the downturn of the video game industry years earlier, and other financial problems, the company filed for bankruptcy by the end of the 1980s.